Pastor Ryan referred to James 1:13-15 and explained how God does not tempt us. Even though God does not tempt us, He does allow us to be tested. God allows these tests in our lives so we will run to Him! 1. Expect trials to come. 1 Peter 4:12 explains how Christians are not to be surprised when these trials come. 2. Identify the enemy. 1 John 2:16 remind us that the devil is not very creative. He is using the same three traps he has used from the very beginning. 3. Remember who you’re praying to — the Father. We are His adopted children. 1 Chronicles 29:11 reminds us that the end of our prayer should be with a focus on Jesus. • Where is your focus? • How are you preparing for the trails that are to come? Every one of us still has a bent away from what is right. The Bible teaches us that when we sin we must confess that sin so that God the Father can restore us. This is why Jesus tells us to confess. A lot of people are living in defeat because they don’t know how to deal with sin in their lives. The only type of sin that can defeat you is unconfessed sin. The beauty of confession is you get to walk in the confidence that God has forgotten your sin and wants to bless you. What stood out to you most about pastor Ryan’s sermon? Have you ever experienced “joy” after admitting and confessing you have done wrong? What was that experience like? What component of true confession do you struggle with most? Where are you in growing in true confession? Lead those with you in a time of reflection regarding the sins they have been “hiding” or “putting off.” Lead them in a time of prayer where they have opportunity to pray silently and before God and confess, receive forgiveness, restored fellowship, and refreshed power to live truly satisfied in Jesus Christ. 1. A Grateful Prayer: Sometimes our greatest need is to change our perspective, not our circumstances. 2. A Dependent Prayer: Every day we must look to God for strength and provision. 3. An Active Prayer: Praying for bread means that someone is going to have to bake the bread. We take part in the Lord’s answer. 4. A Requesting Prayer: We are invited to request great things from God, but ultimately the greatest need that we have is a relationship with a Holy God. • The past few weeks we have focused on God’s Kingdom and God’s will. As we shift to praying about our needs, how does understanding God’s character and plan change the desires you pray about? • What are some ways that you have seen God call you to active prayer in the past? • We are called to ask great things of God. Have you ever had a request that you were scared to bring to God? If so, where do you think that fear came from? As you pray today, bring your requests to our strong and loving God, remembering that we can rely on Him for our daily needs. The focus of this sermon was on our praying for God’s will to be done. Our prayers should first be about what God wants for His kingdom on earth rather than what we want for our personal desires. Read Revelations 21: 1-5 for a picture of God’s kingdom as our pattern. Remember “your will be done” is in sequence with “Your kingdom come” — indicating that Jesus is instructing us to have a God’s perspective mindset as we pray. So, it’s all about our relationship with the Father. What pleases the Father is for us to desire more of Him and to want what He wants. Jesus is telling us in His model prayer that when we pray our first desire should be for God’s kingdom to grow in our sphere of influence because we love Him. • Discuss what might be in God’s will that He would want you to pray for. • Talk about how your prayer time can help you to grow in your relationship with God through Jesus Christ. What does your prayer say about your relationship? In Matthew’s gospel, Jesus teaches us how to pray. We know this as the ‘model prayer’ or ‘The Lord’s Prayer.’ Have you ever wondered if your prayers have any real impact? Do you ever feel like God is missing when you pray? No doubt, we have all felt this way at times. The phrase Pastor Ryan focused on in his message was: “Your Kingdom Come.” What does this mean? The Kingdom of God is the rule of God as well as the domain of God. 1. Have you invited God to have rule and reign over your life? In other words, do you allow Him to be in control of your life? What are some practical ways we can do this? Note: If you have young children, explain this in terms they can understand — like, we allow Jesus to be Lord or boss over us. 2. Remember, God will not force Himself or his reign over us. What are some areas you need to surrender to Him? Take a moment to pray and invite God to extend his domain in your life and in your family’s life. Apply this truth to your schedule. Are you too busy to attend church or to spend time in God’s Word and prayer? Apply this truth to what you allow into your life. Are the TV shows, movies you see or music you listen to good for you? Do they reflect a life yielded to God’s reign? 3. When you pray “Your Kingdom Come” it should alter your mindset, your course and your priorities. Reflect on or discuss how allowing God to have rule and reign in your life will impact these three areas of your life. In Matthew 6:5-9, Jesus teaches us to pray according to our relationship with our Father in heaven. 1. As God’s children we can experience an intimate relationship with Him through prayer. How often do you pray expecting to connect intimately with your Heavenly Father? What beliefs about God or prayer do you have that may be keeping you from connecting intimately with Him through prayer? Ask God to remove any beliefs about Him or about prayer that are separating you from intimacy with Him. 2. As God’s children we can expect that He hears us and answers our prayers. How often do you approach prayer with the belief that your Heavenly Father hears you and answers your prayers? Ask God to increase your faith that He hears and answers your prayers. 3. As God’s children we need to recognize His authority in our lives. 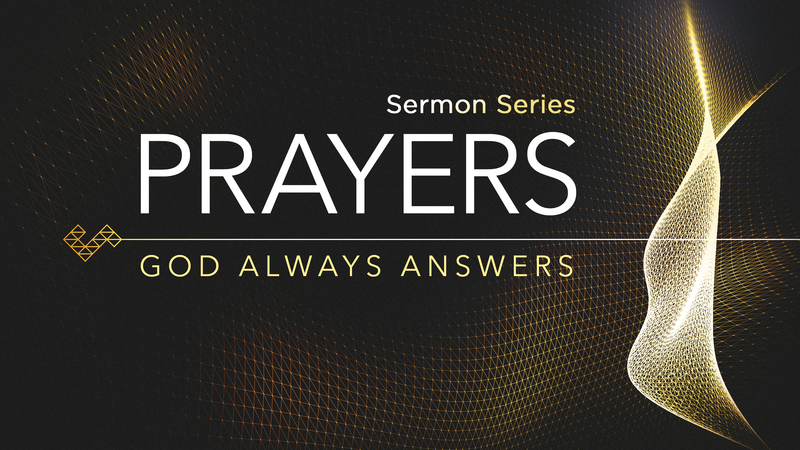 How is acknowledging God’s power and greatness in prayer helpful to us? Pray until you pray! Be honest with God about your thoughts and feelings regarding prayer, and invite Him to do a powerful work in your life over the next few weeks as we study prayer. Expect Him to answer your prayers!